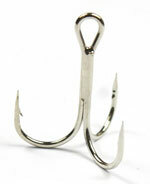 Hunter’s Quarry “Hook of the Week”: The Prodigal Brother. D&D Daggerdale: Simple, buggy, fun. 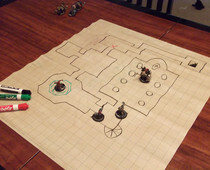 Over on Dungeon’s Master, Ameron writes an interesting post about DM rehearsal. He discusses his experiences with regard to running D&D Encounters for two groups. 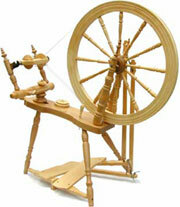 He notices that the second run through is smoother and seems more enjoyable for the group. While I think this goes without saying, I also think it bares repeating. When a DM is comfortable with the material, it will likely run much smoother. The easy takeaway would seem to be to prep MORE. However, I don’t know that’s the most productive course of action. This is simply because increasing prep time doesn’t actually obtain the same results as running the material for a group. Ok, so what are we to do? Is this a situation that is a no-win? We simply need to run a game rehearsal or suffer the consequences? Obviously it’s not that dire. Ameron goes on to point to ways we can utilize aspects of rehearsals to improve our game. We can listen to actual play podcasts, spectate at conventions and other things. Ok, so one of the inspirations I plan to use for discussions on this blog will be games I’m running or playing in. Currently, I’m running a 4E campaign at Heroic Tier. It’s interesting because until I started running this game about 5 months ago, I had never met any of the players at the table. Some of them knew each other, and had gamed together, but they were all new to me.